We went to Egypt, bought a car, destroyed a couple of pyramids and used the rubble to make a necklace. It was a heavy necklace so we carried it in turns. We wore clothes when we were meant to be naked and we were naked when we were meant to wear clothes. Archaeology was never a primary interest but yet, if you're asking, we did some digging. When we returned to the suburbs we were covered in dust and sand and spent the next two years watching television draped in jewels. This is how By Nye came to be. By Nye is a contemporary Australian jewellery label creating hand-made luxury pieces. 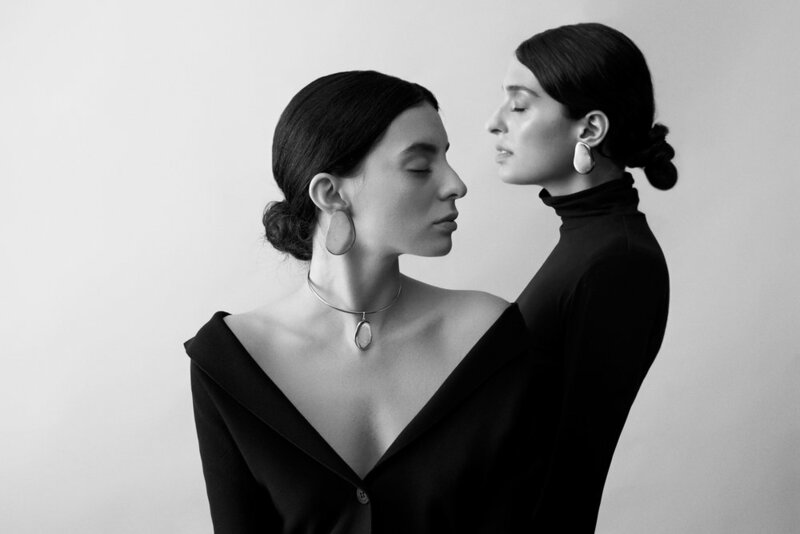 Jewellery designer, Nye De Marchi draws on her visual-arts background and love of natural landscapes to design pieces that are both conceptual and timeless. All materials are locally and sustainably sourced with an attention to detail. Forged through the craft of silversmithing and lost wax casting, each piece is one-of-a-kind, as is its wearer. By Nye has been featured in publications such as Vogue, Elle, Oyster, Russh, Marie Claire, Black Magazine and many more.